I wouldn't look much further as the toys will be flying shortly until tomorrow i say Jeff splendid. 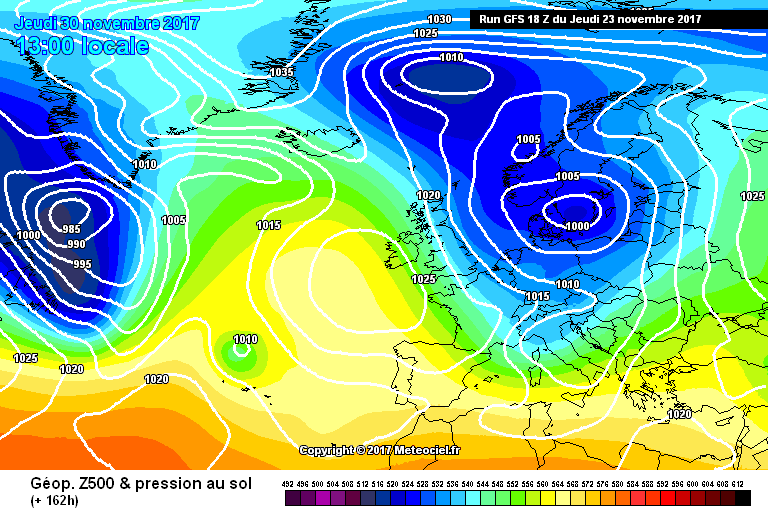 A brilliant days model watching regardless of how the 18z pans out! Bring on the proper winter weather and a world away from the last few years in the run up to Christmas! The main thing is that the 0-120hr period is looking excellent for getting us to the launch pad! Well the 18z is a total mess past 144 but something we have to consider is where the jet may break through if the blocking isnt quite as strong in the atlantic! Repeat always repeat is the mantra of the 18z. 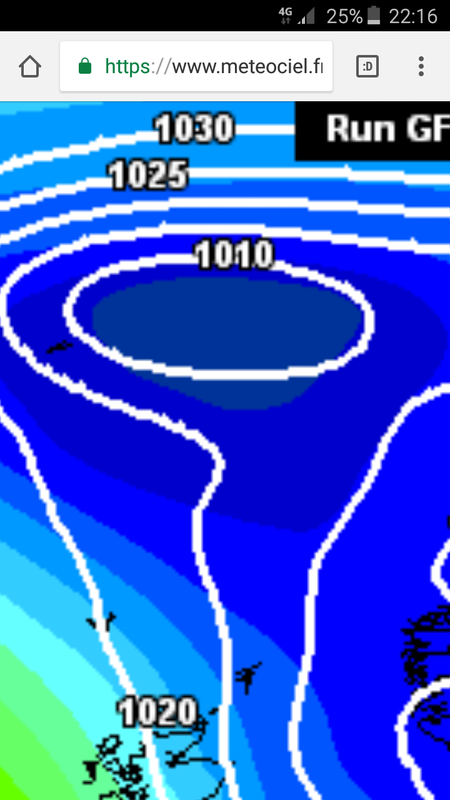 It is showing colder uppers now and there has been a hint of sliding lows for a while now. Icelandic site just updated the clusters now, here they are - not bad at all. Have you got a link to that monthly please? If your looking for deep surface cold challenging for sub -15c then look no further than central scotland! The gfs op, despite looking messy in the mid term is more credible later on as it regains a mid Atlantic ridge and also an aleutian ridge. It's going all in on the vortex too, signature/ anomalous wave driving if that verified..
Not often I comment on GFS 18z at the long range, but interesting to note it going for an undercut situation, with energy all going into the southern arm of the jet, and hence a feed of very cold air from the east/northeast. 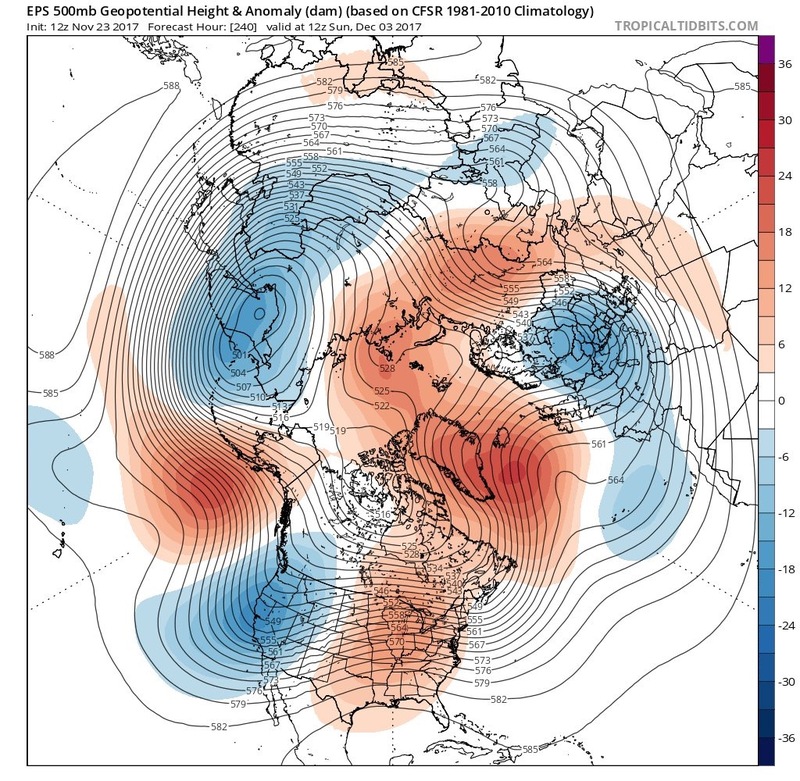 All quite plausible, if we see shortwave activity scupper any sustained mid atlantic high/arctic high link up, instead a toppler of sorts occuring but then heights propped up by low heights to the south, and all the while the cold building to the NE, has then an easy ride of injecting its energy our way. Pv is under some serious drivers!!! 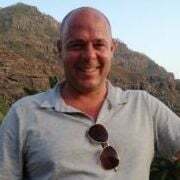 Not as good as current twitter from Dr Ventrice but orginal mapping of both the teleconnections..
Only just caught up on today's model output, as been busy, but looking at the 12z/18Z GFS they are certainly an improvement on the 00z and 06z GFS. 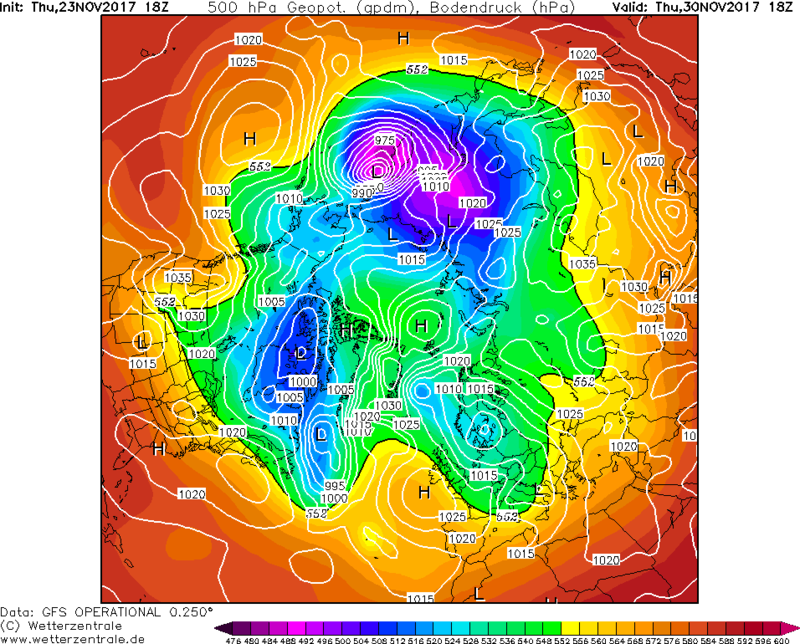 To my eye this because they are evolving a more stout block over Iceland and into Greenland with help of the arctic high. The 00z/06z GFS highlighted my reservations on relying on a mid-Atlantic ridge creating a block while most of the jet energy is going round the top of the ridge, as this inevitably leads to the ridge sinking with little energy/troughing undercutting the block. 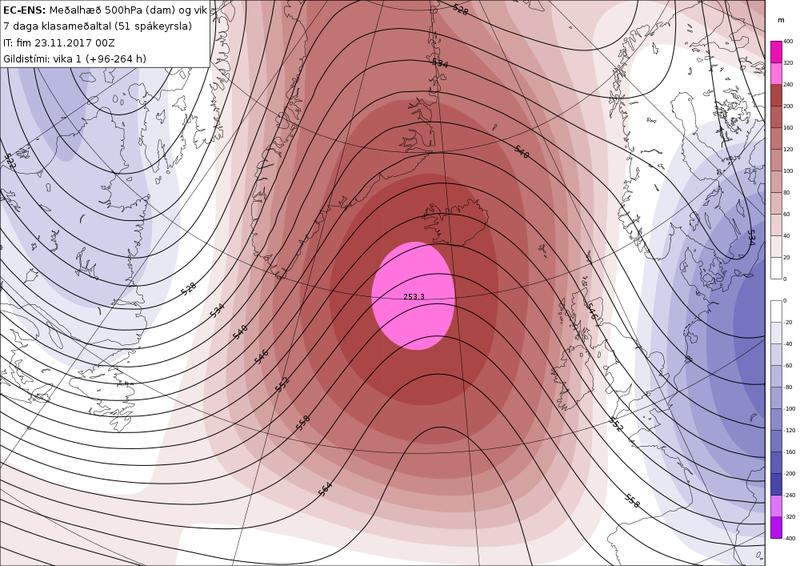 But both 12z/18z GFS along with 12z ECM high res show the merging of the arctic +ve heights/ridge and the Atlantic ridge building a block over Greenland that prevents the toppling from the NW that GFS was previously indicating. Though the 18z does eventually implode from the west in FI. Some mouthwatering synoptics continually on offer over recent days, especially ECM, but I think we should temper expectations a little, as on face value, the charts are suggesting cold and below average next week but nothing exceptional and certainly no snowmaggedon for many. The cold generally doesn't look too deep on current projections so there'll be snow around for sure, but mostly settling over the hills during the day, maybe lower levels at night, for a time. Where skies clear it will be frosty at night and cold sunshine by day, add in a wind chill from the cold wind, it will certainly feel more seasonal than the 16C I seeing on my thermometer at 11pm last night! 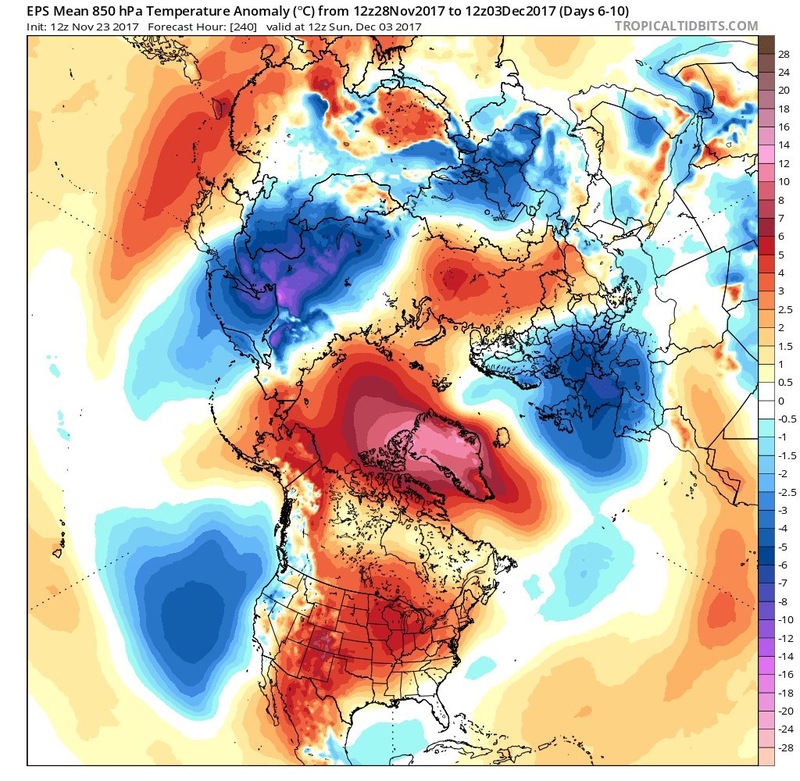 We could be entrenched in this cold and blocky pattern for a while given the probable stubborness of the block to our W and NW and that the models, especially GFS, are often too keen to break it down. Which takes into early December. 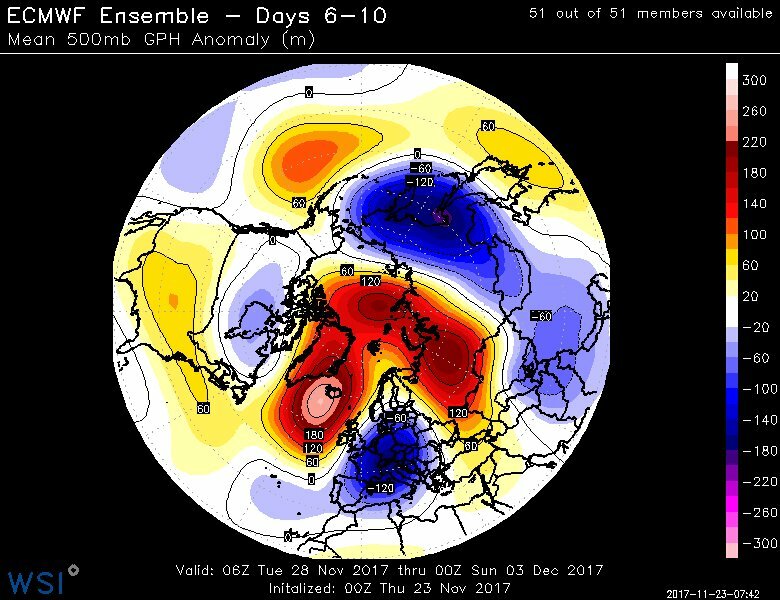 Longer term, some of the MJO forecasts hint at it orbiting, albeit low amplitude for now, towards colder phases 7/8 in December, which combined with possible still weak strat PV via weakening zonal wind forecasted, increased wave 1 activity and warming in the strat could help more blocking in December.